Early iteration of the Bailey no. 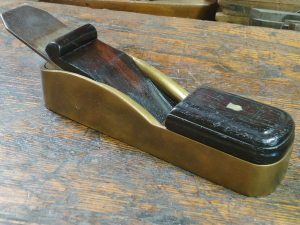 9 cabinet makers block plane (or pianomaker’s mitre plane). This one has the Aug 31, 1858 patent date. It’s not hard to see why Bailey changed the handle. From Quiet Corner Antiques. 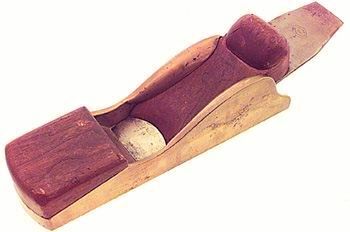 L. Bailey mitre plane, as advertised in A. J. Wilkinson & Co., Boston catalogue c 1867. 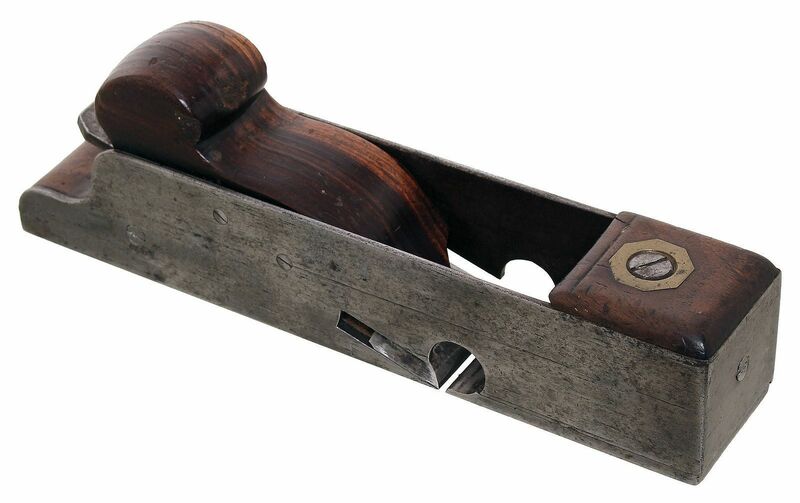 Bailey’s mitre plane was also included in the earlier Bliven, Mead & Co. 1864 New York catalogue. Stanley no. 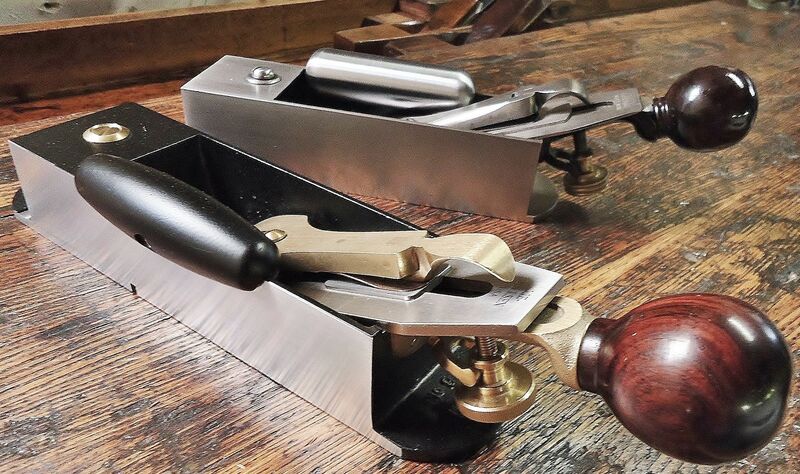 9 Cabinet Maker’s block plane. Type 2, with horizontal adjustment knob. Photo from MJD auctions, April, 2016. Lie Neilsen No. 9 plane, with the original in the background. Lie Nielsen’s No. 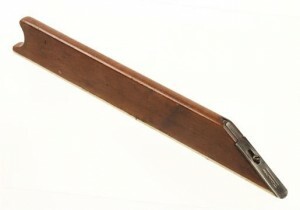 9 plane is longer, with a sole 10 7/8″ long, as compared with the 9″ long c. 1900 Stanley shown here. Its also more massive, and looks to be more robust as compared with the original body casting, which can be prone to cracking at the rear, where the handle is attached. 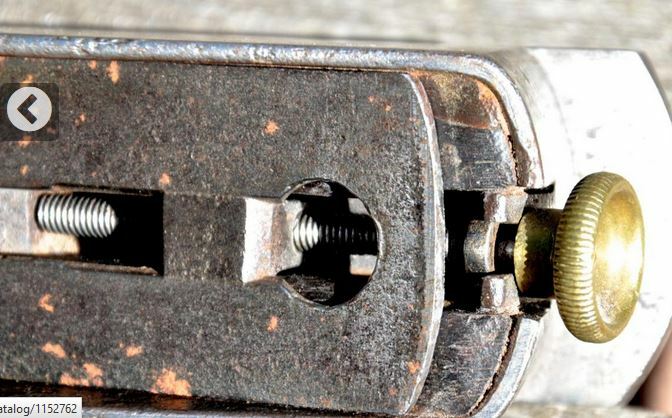 When the top fixing screw for the Stanley No. 9’s adjustable front sole piece is driven too tight, the casting can also crack on the sides, right above the adjustable front sole. 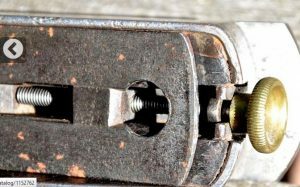 While this example does not suffer from these problems, the Lie Neilsen is the one I go to first: it cuts wood very well, with no worries about breakage. 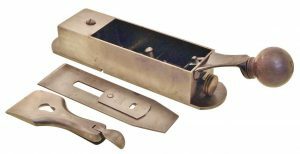 It is, however, a rather big rig–14″ if you include the handle attachment–the user made handle is slightly oversized, in order to push the plane more easily. 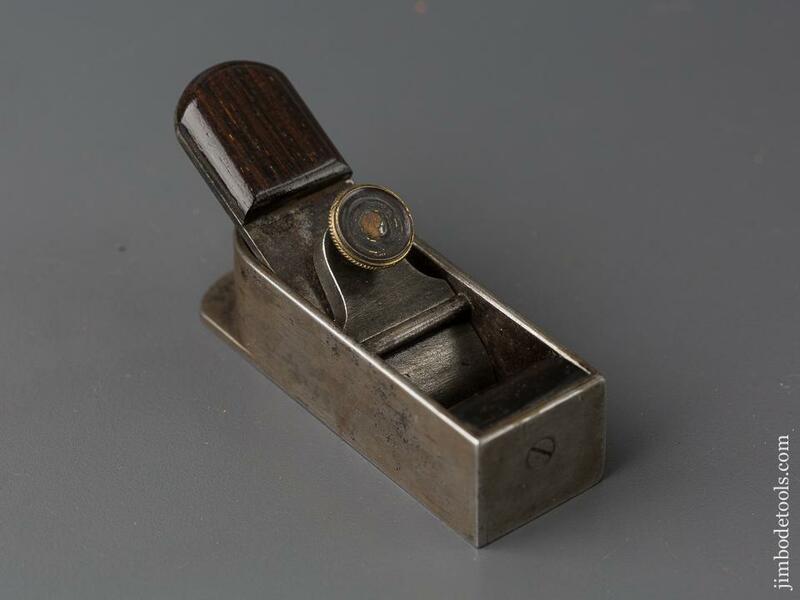 William G. Scott mitre plane, made at 204 Clinton St., Cincinnati, Ohio, with German silver shield or crest inlaid into the rosewood front infill. 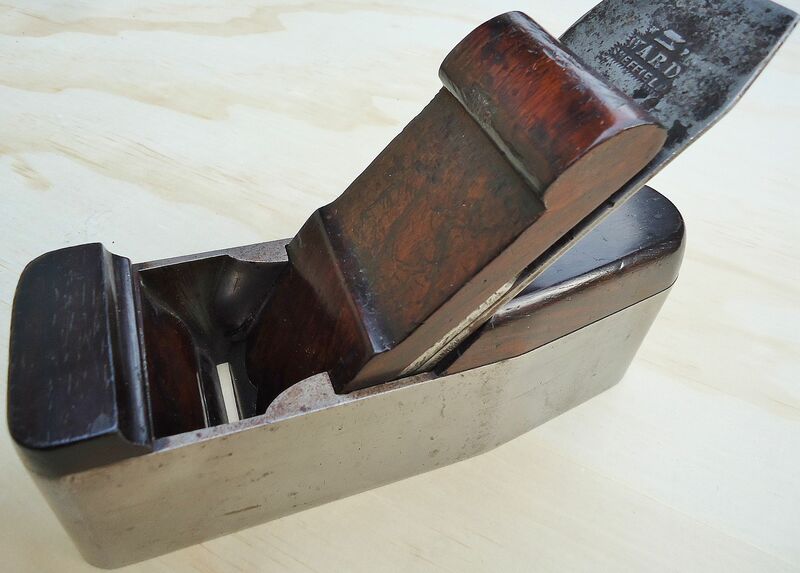 Apparently, there were at least three sizes of this plane, this one is 9″ long, with a 2″ iron. Others were 8 5/8″ with a 1 3/4″ iron, or 8″ long with a 1 5/8″ iron. 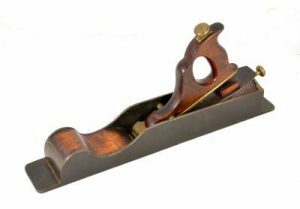 William G. Scott’s mitre, to my knowledge, was the only production infill mitre plane made in 19th century U.S.A. outside of New York state. Like the New York makers of pianomaker’s planes, Scott found his inspiration from the infill planemakers of Great Britain. Unlike the New York makers, Scott was influenced by profiles with more fluid lines, rather than straightforward box mitre designs. The smaller versions of this plane resemble an oversized Irish chariot plane. 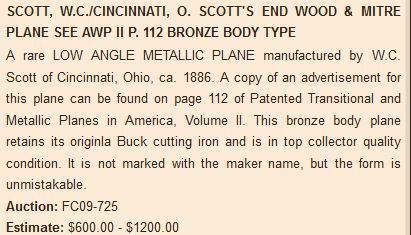 Scott’s mother was born in Ireland, and his father was born in England, so chances that he did not know about this Scottish/Irish style of planemaking would have been close to zero. Especially considering his surname. In the relatively small number of these planes that have surfaced, there is much variation; Scott’s casting designs were constantly tweaked and changed. Its fairly obvious that William Scott enjoyed playing around with his designs, because for usefulness and practicality reasons, it certainly was not necessary. Carpentry and Building magazine, September, 1886. 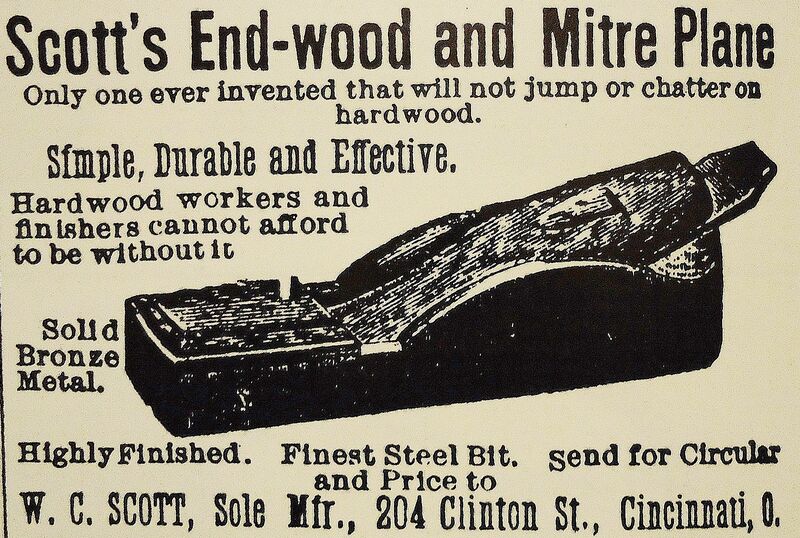 “Simple, durable, and effective.” Carpentry and Building magazine September, 1886. Scott mitre plane. Its the same as the example in the advertisement with the exception that the two infills were affixed to the casting with machine screws. Its small: 8″ long, with a 1 5/8″ Moulson iron. “Sole Manufacturer,” could be taken literally: Scott likely worked alone, after business hours, in his home-based workshop. Its true that Scott mitres are rare, but the small and steady amount of them that surface over the years, indicate that Scott must have continued with his planemaking endeavors through a long timespan. 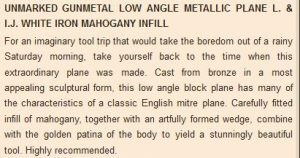 This would also be supported by his use of many casting variations which would have been used for a good number of casting batches over time. U.S. census 1880. William Scott, wife Susan. Born Canada, circa 1851. Chattanooga, Tennessee. Carpenter. 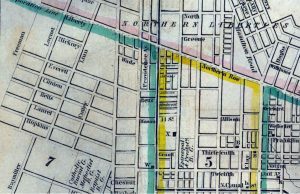 1845 Cincinnati street map, showing a portion of the West End, including Clinton St. Liberty and Linn Streets are still there. 1883. Its William G., not C. (ad is incorrect). 1900 U.S. census. William G. Scott. Cincinnati City Directory, for 1905. Scott was listed every year, at 204 Clinton Street through 1894. 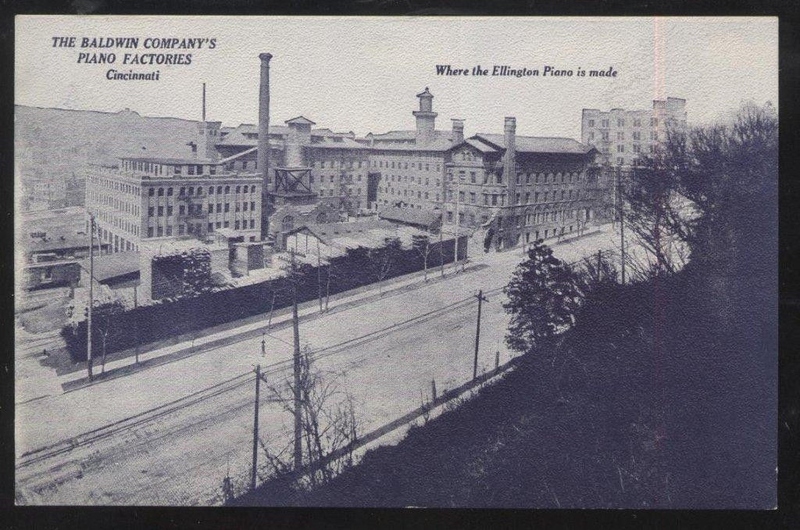 In 1895, Scott was living at 13 Kenmore, and then he moved to 844 Clinton Street in 1896. W. G. Scott remained at 844 Clinton Street for the rest of his life. 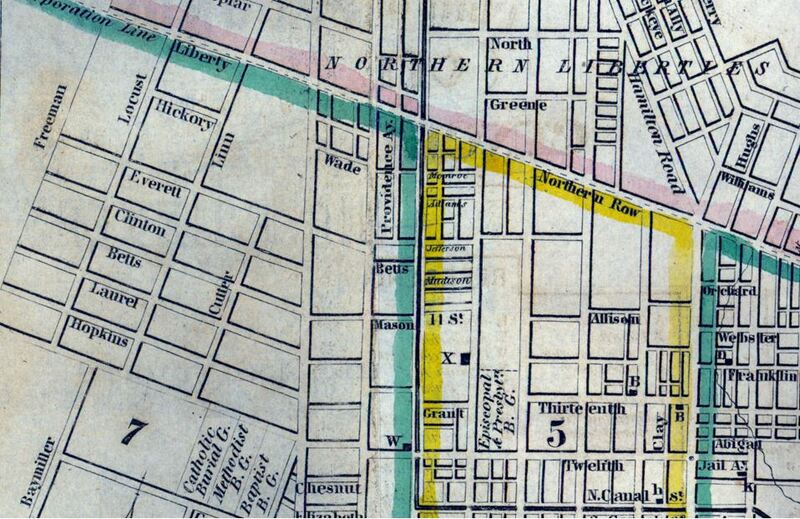 Note the separate address at the southwest corner of Josephine and Dorchester Avenue, Mount Auburn, for Scott’s workshop. Its an indication that Scott’s business was growing. With fly screens a specialty, Scott must have used his mitre planes for shooting the frames, among other uses. 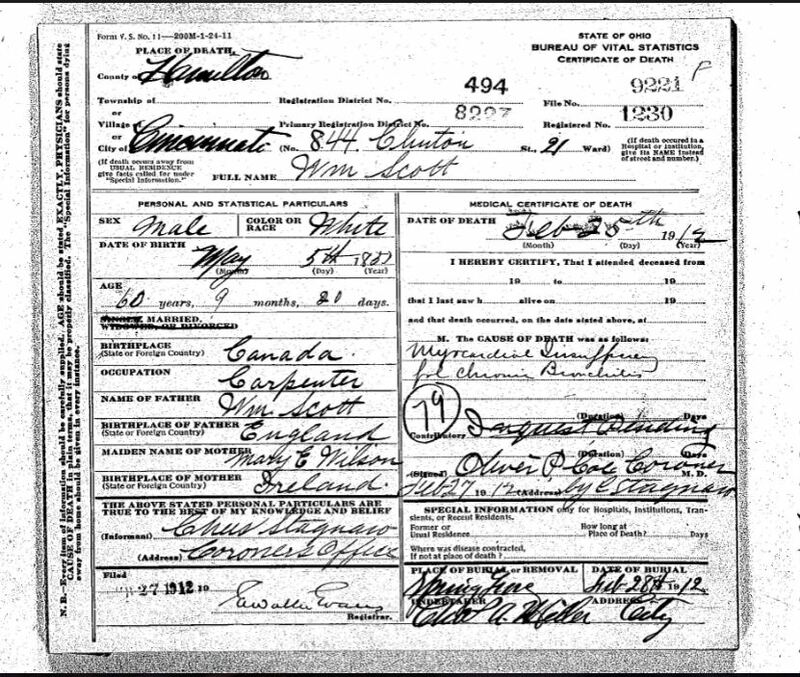 William G. Scott’s death certificate. His wife Susanna lived until 1937. 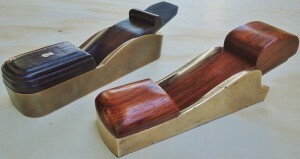 Two W. C. Scott mitre planes, 9″ long with L. & I. J. White 2″ iron in back and 8 3/8″long with D. R. Barton 1 3/4″ iron in front. The smaller plane has “Scott” inscribed roughly embossed, inside the plane as part of the casting. A steel sole was sweated onto the bronze body. Scott mitre with L. & I. J. White iron, 8″ long. 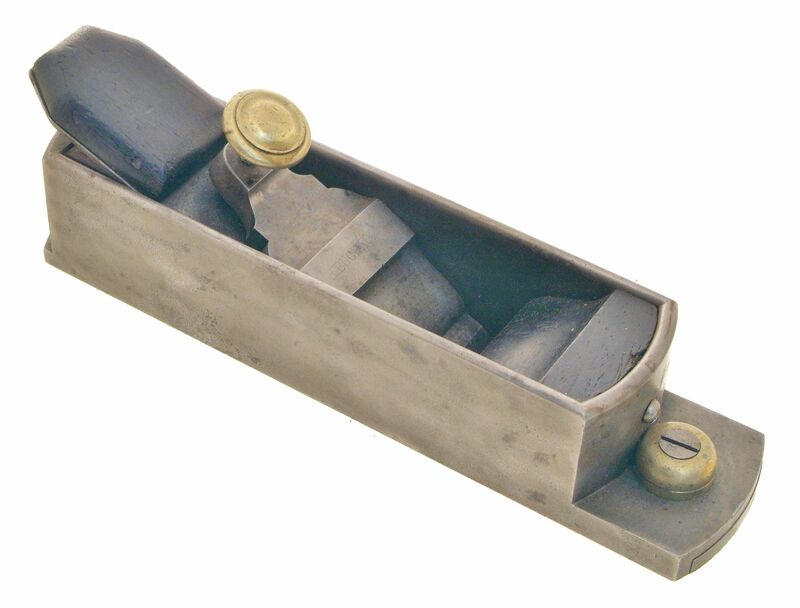 Similar to the plane shown above, but with some differences in the lines of the casting. Photo from Martin Donnelly Auctions, c. 2002. 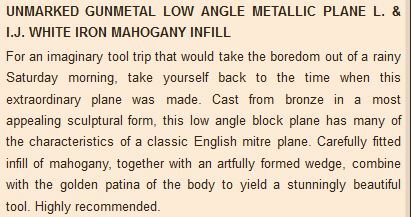 Martin Donnelly’s flowery description of this plane. 2002. Scott mitre plane that was sold in the MJD September 2009 auction. 8″ long. Scott mitre plane with replacement infills. 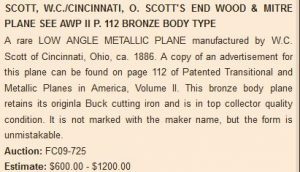 EAIA website c 2015 The nose on this plane is rounder than any of the other Scott castings shown here, and the iron appears to be set a few degrees lower than the others as well. It was sold in the 46th Brown tool auction in March 2015. Plane is stamped by ‘C. Fielding’ in a wave pattern. Some of you may notice that the signed Gabriel mitre shown on the next page (English Mitre Planes) was also stamped by C. Fielding. It is fairly common that when a collector passes away, the heirs place the tools up for auction to be returned to the collecting community. W.C. Scott mitre. Casting is close to that of the mitre with the German silver shield or crest. The bright area ahead of the wedge is not a gaping mouth, but a reflection of the sharpened iron. Another view of mitre with German silver shield. Casting and woodwork is similar to the above example. Baldwin Piano Factory, c 1920. 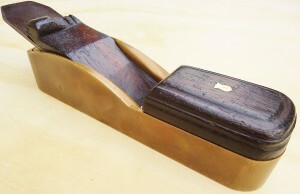 While the introduction of Scott’s mitre plane predated the introduction of Baldwin pianos by at least four years (1890), chances were good that a few Scott mitres were used therein. By 1886, D. H. Baldwin’s potential work force of skilled craftpeople was already established in the Cincinnati area, and besides, Baldwin was not the first pianomaker in southern Ohio. Frank Renfrow, a longtime piano specialist in the Cincinnati area, documented the following local pianomakers from 1825 to 1880: Charters, Garish, Golden, Reuss, Strange, Clark, Bourne, Smith & Nixon, Blackburn, Britting, Dannrechtin, Schaunel, Wardrogen, and Chase, among others. 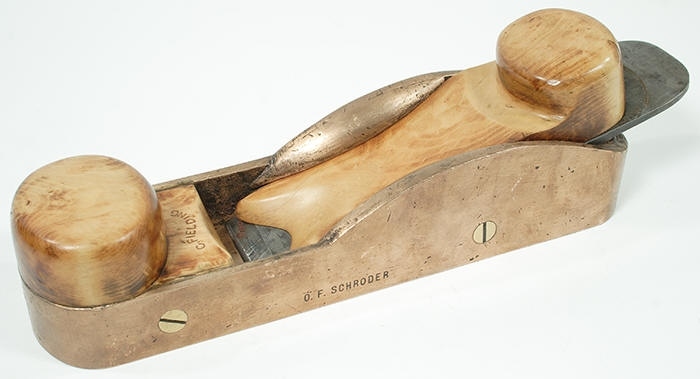 Scott mitre plane, from the John G. Wells collection. 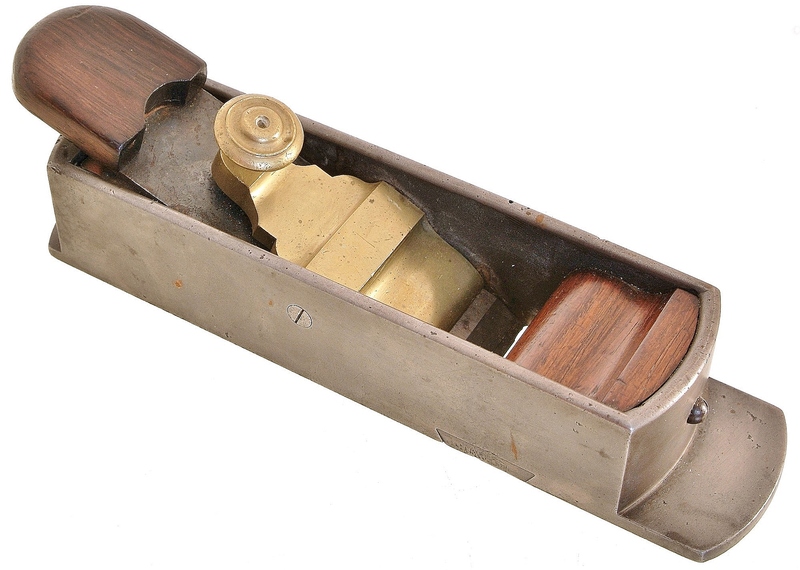 John Wells was a prominent architect (and tool collector/researcher) from Berkeley, CA. Photo from David Stanley Auctions, February 1, 2019. Largest Scott mitre with 2″ iron and smallest with 1 5/8″ iron. Bodies are similar, but the front of the smaller one has sharp corners, and the large one has rounded corners. 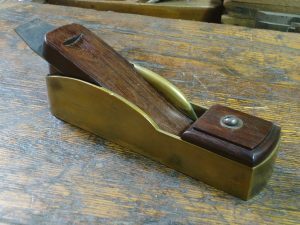 NY style (looks like cast iron) mitre plane with interesting infill and lever cap. 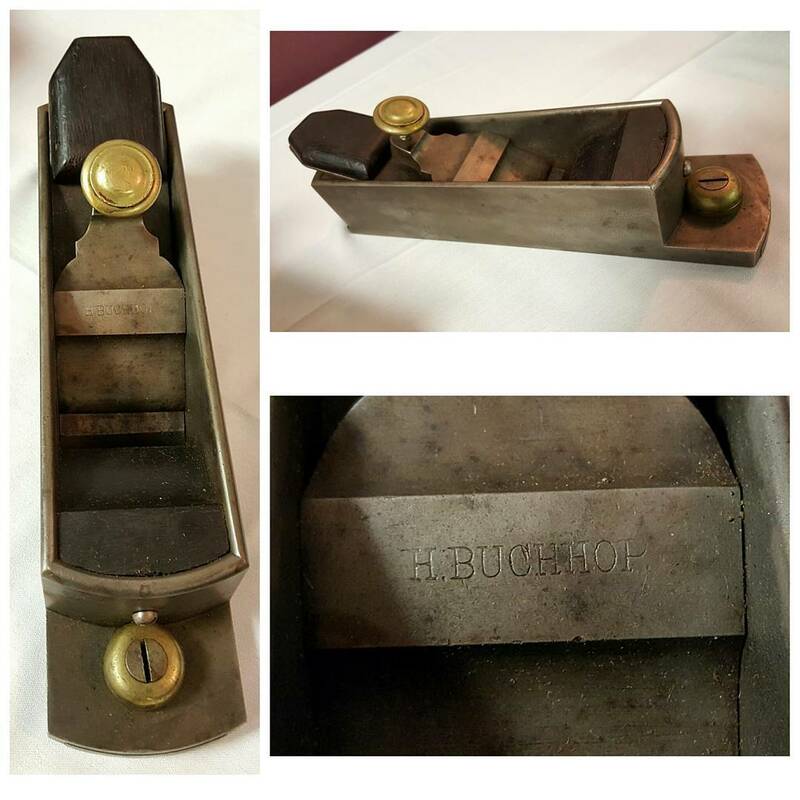 Maker unknown, but similar to Buchhop plane shown below.. Photo from Donnelly auctions 2015. “A FANCY CABINET MAKERS MITRE PLANE by Henry Buchhop, New York, New York. 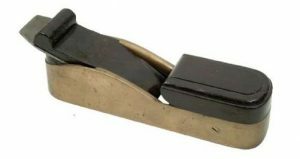 This plane is nicely appointed with a brass locking screw for the cap and a rounded brass washer to secure the throat adjustment. 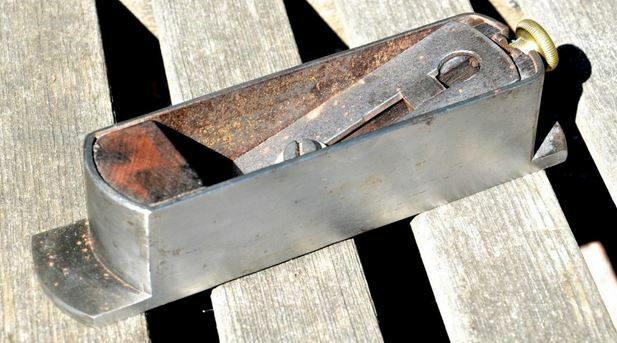 It retains its full cutting iron by Shepherd Brothers and and is in excellent collector quality condition. 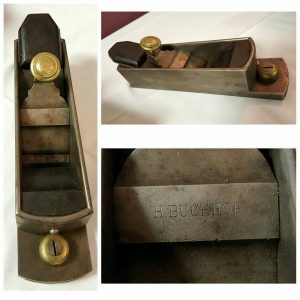 Henry Buchhop was listed as a cabinetmaker in the 1867 New York City Directory, living at 133 Sixth Avenue. In 1872, he was listed at 147 Avenue A. In 1878 he had moved to 458 W. 50th Street, where he worked as a cabinetmaker. He worked as a cabinetmaker in New York City throughout his life. The plane is marked with the designation “H. Buchhop” on the bridge. Its unique configuration suggests that Buchhop may have made it himself.” Martin Donnelly auctions, April 2016. Here’s my succinct research: Buchhop was born in Germany in 1824; arrived in N,Y. 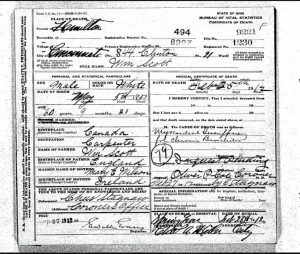 August 16th, 1850; was naturalized June 1, 1857; died January 23, 1900 in Brooklyn. Buchhop mitre plane. Photos from instagram. 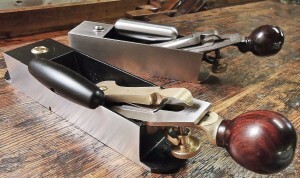 New York mitre plane with adjustable blade angle and Bailey type lever cap. Martin Donnelly Sept. 2017 auction. Mitre/Rabbet plane. New York style design, with adjustable mouth. English badger/rabbet/mitre planes exist, but this example may be a one-off. Photo from Ebay, December 2017. New York mitre, unmarked. Dovetailed. Possibly made by L. Brandt or a contemporary maker. Photo by Paul Blanche, Ebay. Interesting adjustment feature. Photo by Paul Blanche. Miniature New York style mitre plane marked Tollner (1851-1861). 3 5/16″ long, with 15/16″ iron. Dovetailed construction. Some debate exists regarding who made this plane, an early effort by N. Erlandsen being John Wells’ assertion. From estate of John G. Wells. Photo by Jim Bode. 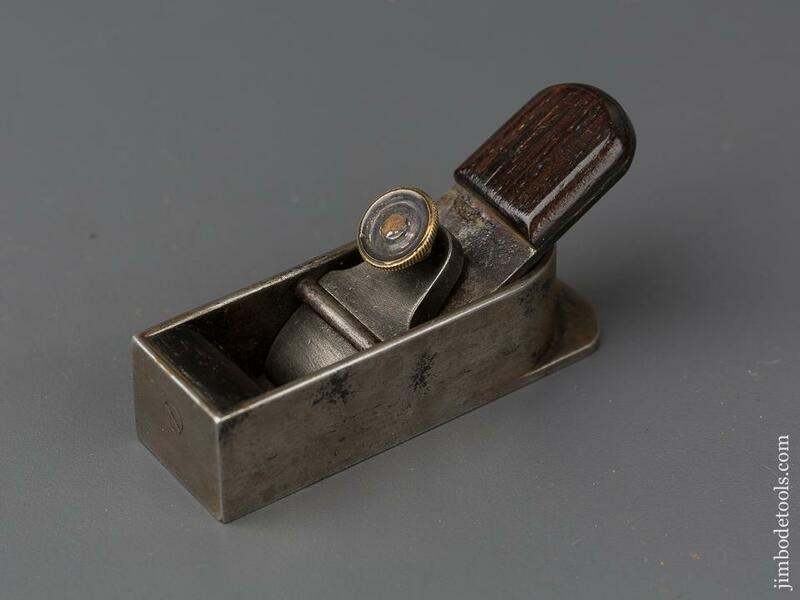 Another view of the miniature Tollner plane. Photo by Jim Bode. “A very rare and early organ pipe makers combination voicing plane, a steel soled brass mitre plane with rosewood infill and wedge 10″ x 2 1/4” used for thinning the surface of the tin or lead alloy sheets [spotted metal] used for the metal organ pipes, the iron can be changed to the vertical position and becomes the thicknessing plane (see SAL p287) when vertical the iron is held firm by the front infill being tightened with a brass screw, chip to wedge, most unusual.” –From David Stanley auctions,Sept., 2014. 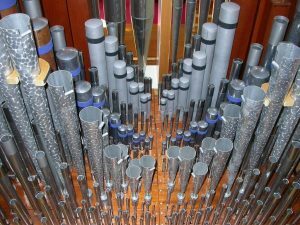 Organ builder’s mitre/panel plane, 18″ long. From ebay, 2013. 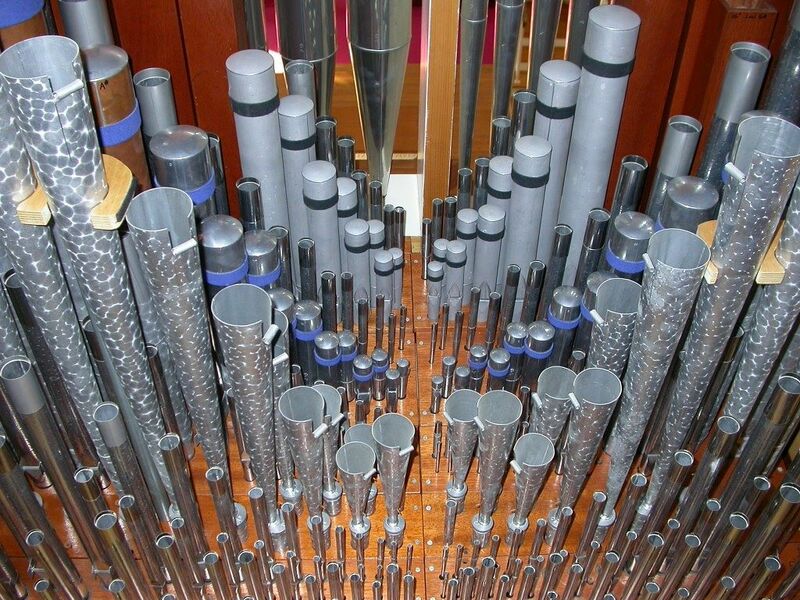 Organ pipe plane. Photo by Paul Blanche. 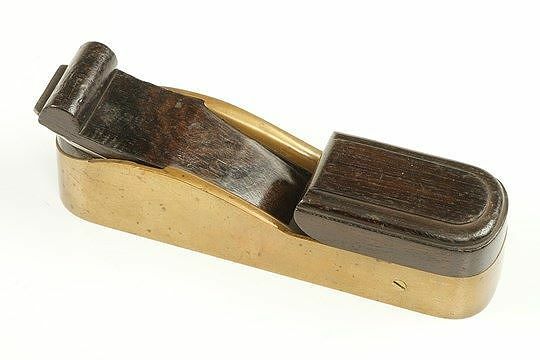 Badger & Galpin smooth plane, c. 1852. Elias Galpin of London was listed in the 1851 British census as a Pianoforte maker–as well as in subsequent census rolls. Several British planemakers were involved in the piano industry. Pianomakers plane, with radiused bone sole, purpose unknown, from France. David Stanley Auctions.